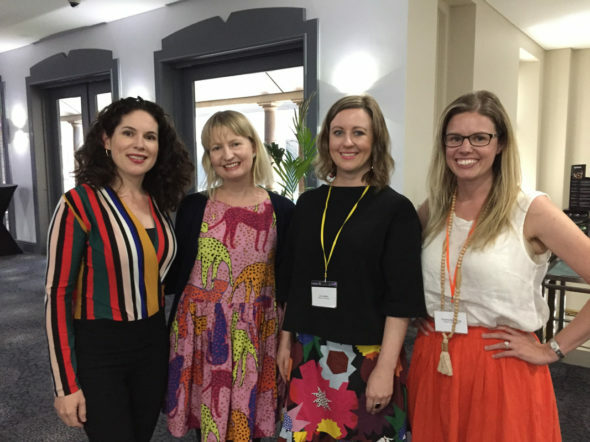 I’m fresh from the bookish buzz that was the Sydney SCBWI Conference, an epic multi-day series of events headed up by everyone’s favourite literary lady, Susanne Gervay! From a series of mini-launches at Beecroft’s The Children’s Bookshop to a mega conference day, a dinner, and a workshop day afterwards, it was full on and fun. 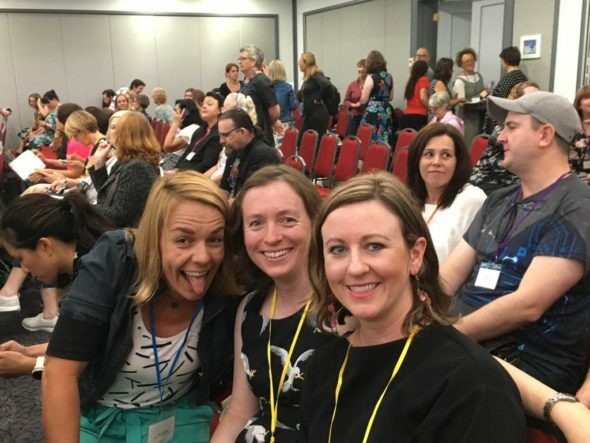 There are some excellent summaries of the sessions over on the SCBWI blog, if you want to check them out. And there are some great blog posts by Oliver Phommavanh and Debra Tidball with pics and highlights. As always, so much of it was all the catching up and meeting new people in the kids’ book industry. Highlights for me included the dialogue masterclass run by Penguin Random House publisher Zoe Walton, an excellent, helpful manuscript critique by Nancy Conescu on my chapter book series, and a great session on author websites, social media and branding via Allison Tait and Valerie Khoo – part pep-talk, part stand-up special! Speaking of Allison Tait, guess who’s the latest guest on our podcast, One More Page?! Except this time, she’s donning her authorial blazer as A.L. Tait, chatting about her two middle grade series. You can take a listen here. So, what else is happening? THE BOOK CHOOK! This is my friend and fellow critique group member Amelia McInerney’s debut picture book with Omnibus/Scholastic, illustrated so vibrantly by Connah Brecon. 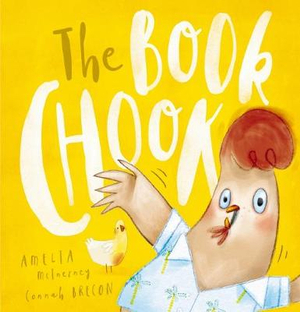 It’s the hilarious tale of a chicken called Ray who realises he’s not actually a real chook, he’s a drawing in a book! 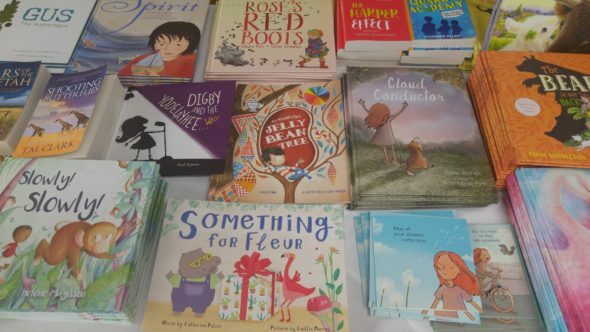 Amelia launched it as one of the 9 ‘speed launchers’ at the SCBWI event, with more events (and more books!) to come. I’ve also just read a brand new YA thriller called LOVE LIE REPEAT by Catherine Greer, which has a really compelling (if not sinister) voice. 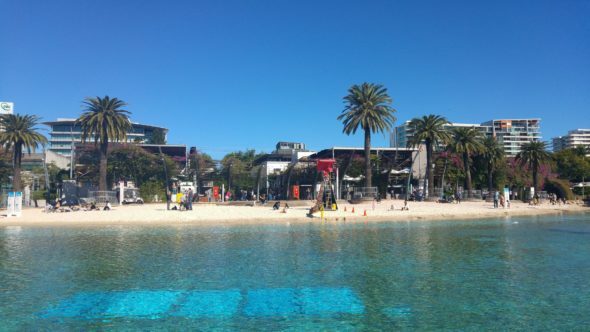 It’s set in Sydney in the world of privileged, private school teens where all is not as picture perfect as it seems. Totally recommend! My next read (for my adult book club) is Jane Harper’s THE LOST MAN. Her debut THE DRY was one book we all actually loved, which rarely happens! So I’m really looking forward to this one. Kids’ book podcasts (I mean beyond One More Page)! 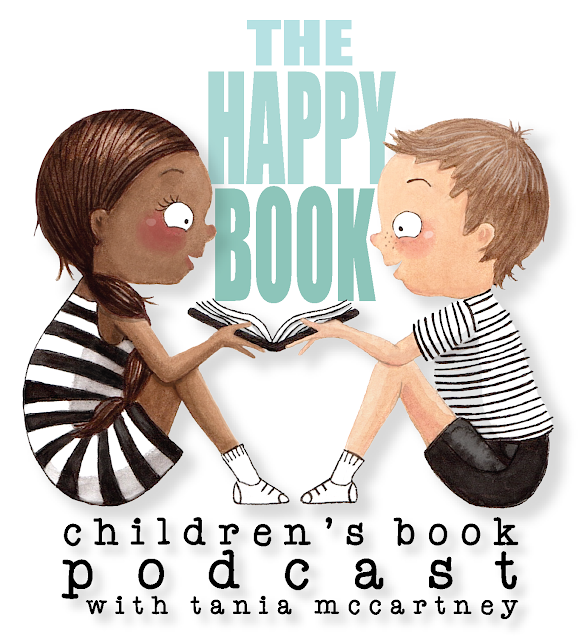 I now have a constant feed full of awesome kidlit inspiration, whether it’s hearing about the latest middle grade reads or words of wisdom from top MG authors on Middle Grade Mavens, to in-depth advice on the craft and business of writing on Tania McCartney’s The Happy Book. There’s also a ‘vodcast’ to either watch or listen to (innovative, much?! ), The KidLit Club with authors Adrian Beck and Sally Rippin. Each of these podcasts has its own personality and feel, and I’m so pleased One More Page is part of this new wave of kids’ book reviewing, interviewing and all-round fandom! Anna Walker newness!!! 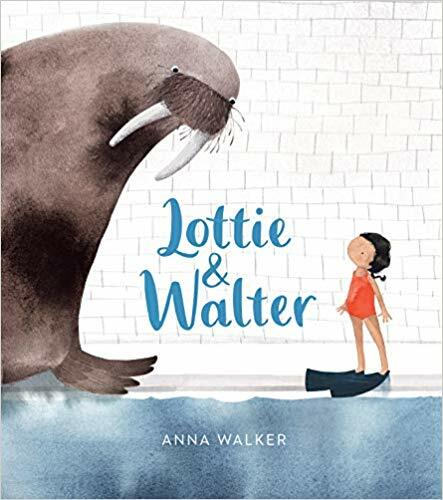 LOTTIE AND WALTER is almost here, written and illustrated by my (and possibly everyone’s) picture book idol. I can’t *wait* for this to grace my bookshelf! I had a sneak peak at The Children’s Bookshop at the SCBWI speed launch event, and it’s stunning in every way. Yay! What else? More books, more launches, more writerly things. I’ll be heading to the launch of Aura Parker’s beautiful new bug book, COCOON soon (a bigger launch, post-SCBWI mini-launch, where Aura presented the book in a really clever way, relating metamorphosis to the kids’ book creating journey). The Creative Kids’ Tales festival is coming up (my first!) which I’m really looking forward to – author talks on tap. Then not too long after, it’s time for *another* writers’ conference, KidLitVic in Melbourne. I’ve been every year so far and to be honest, was thinking I need to reign in the conference attending (and spending) but once the program was out, do you think I could help myself? It also ties in with a Scribbles Masterclass run by author Jen Storer, so there’s that, too. Of course, I totally have to go! Maybe I’ll see you there? 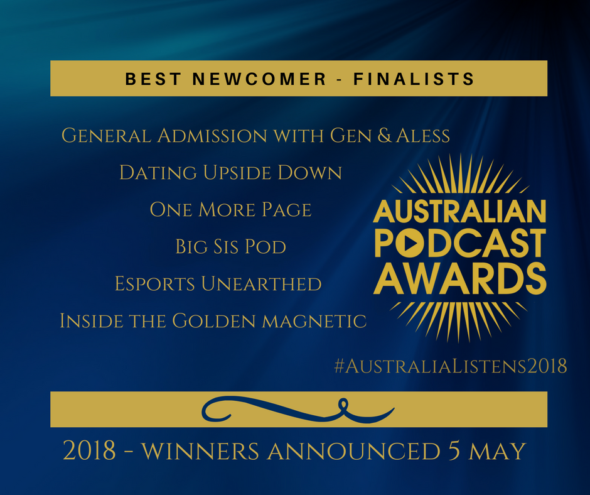 Our kids’ book podcast One More Page was just announced a finalist in the Australian Podcast Awards ‘Best Newcomer’ category for 2018! Considering we only launched recently (episode 5 just came out this week!) it’s a huge honour and, well, a huge surprise! It’s been a fun ride so far, chatting to lots of our favourite kids’ book creators, reading and reviewing amazing books and laughing way too much. Our latest episode features authors Zanni Louise and Tristan Bancks, and it’s all about ideas. You can have a listen here. Quark’s Academy, the debut kids’ book by Catherine Pelosi is out! It launched with a bang (er, literally) in a science experiment-filled extravaganza at Sydney bookshop Lindfield Learning Hub. 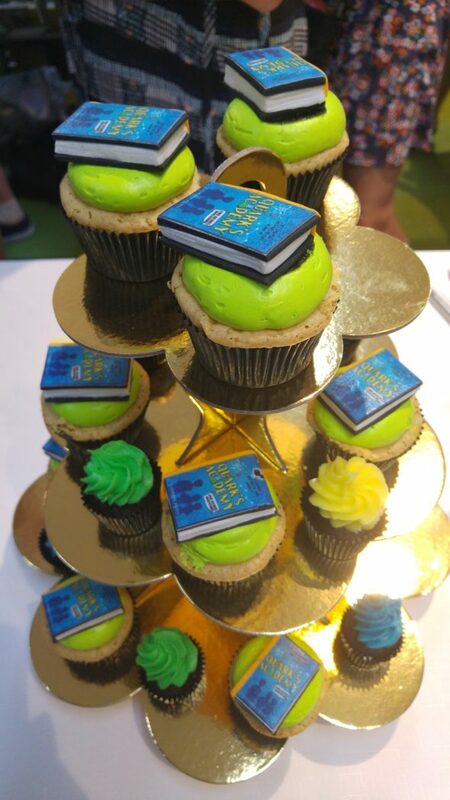 There were super cool Quark’s themed cupcakes, too (which were much too pretty to eat). Oh, and the book is AWESOME! It’s a fun middle-grade read about three kids whose inventions win them a place in the exclusive Quark’s Academy for young scientists, where all isn’t quite as it seems. Fast-paced and visual, Quark’s Academy is a suspenseful ride with kooky characters and inventions, and wonderful, natural writing. Catherine is in my writers’ group (the chapter book one) so it’s super exciting to see her books come to life. And Something for Fleur, Catherine’s picture book illustrated by Caitlin Murray, is on its way! Super cute bookish mail alert – the other day I received a handmade mini-book by Zoe Collins, also known as Hoodlum Friends. I love her quirky illustrations and way with words, and all her behind-the-scenes shenanigans at Girl & Duck and Scribbles HQ. 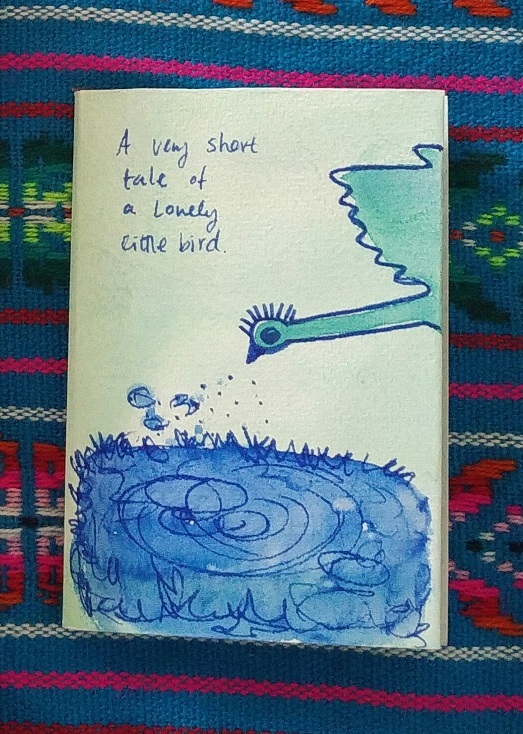 Her book stars a lonely little bird and it’s whimsical and adorable. And it came in a handmade collage-ish envelope to boot. Thanks Zoe! 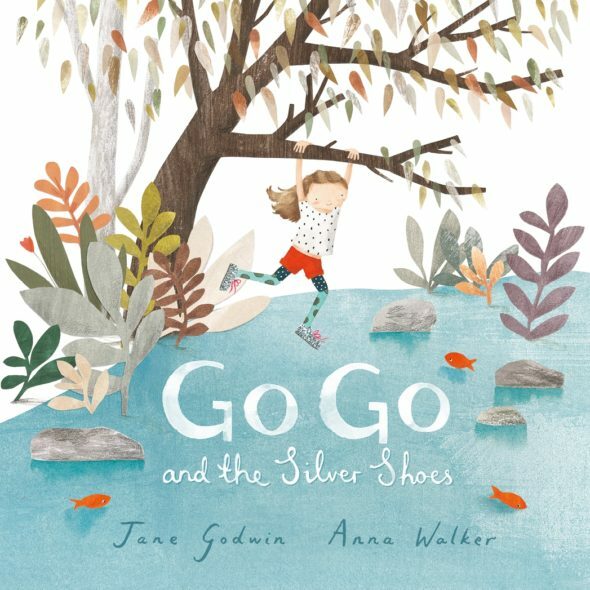 A new picture book love by Jane Godwin and Anna Walker – Go Go and the Silver Shoes! This is totally my kind of story – filled with heart, adventure and a hefty dose of quirk, Go Go is about a girl who wears mostly hand-me-downs, but gets to choose her own shoes. Silver shoes! She wears them everywhere she goes, until one day, disaster strikes. It’s an ode to being unique, special things and finding like-minded friends. The illustrations are stunning (it’s Anna Walker, so goes without saying really). I heart Go Go! And my fifth fun thing is … a writing award! 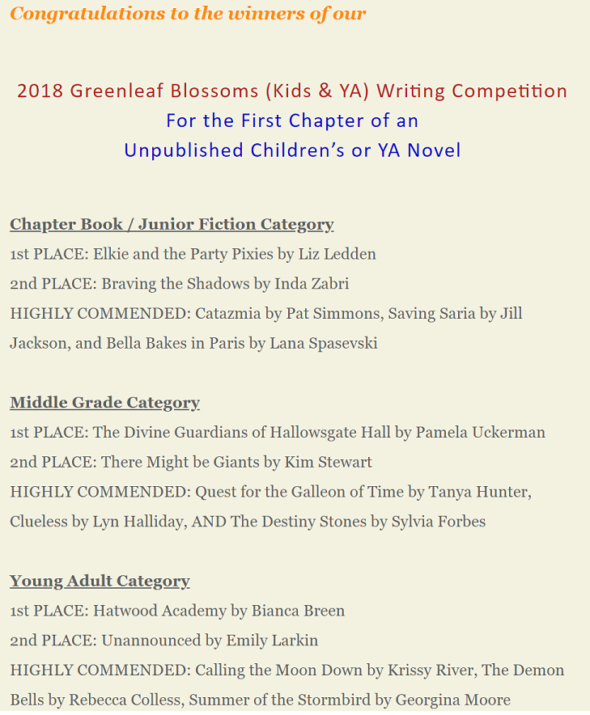 I’ve just won first place in the chapter book category of the Greenleaf Blossoms competition (for the first chapter of an unpublished manuscript). The competition was held by Greenleaf Press, and I’ve scored a manuscript assessment by its owner and prolific children’s author Aleesah Darlison. Yay! YA // Between Us by Clare Atkins – compelling new #LoveOzYA about an Iranian asylum seeker, and a boy she meets at school whose dad works works at her detention centre. So well-crafted with alternating narrators, some parts told in verse. MG // Missing by Sue Whiting – a gripping new middle grade mystery about a girl determined to believe that her mum who’s missing in Panama is still alive. Heartbreaking and had me hooked right to the end. 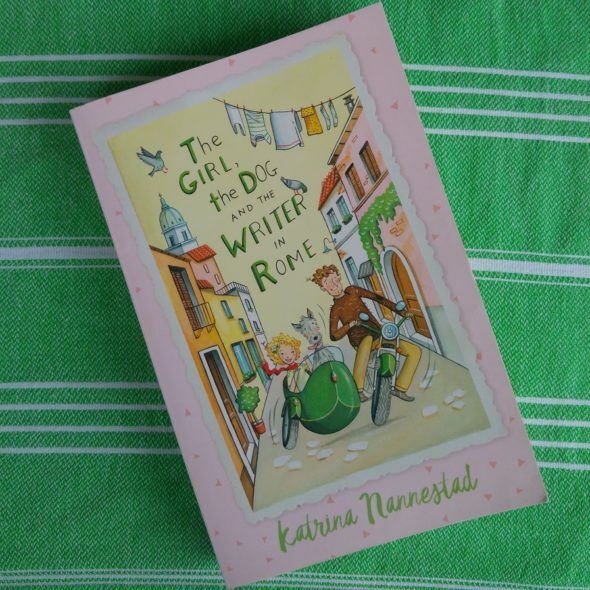 JF // The Girl, the Dog and the Writer in Rome by Katrina Nannestad – charming, quirky, wanderlust-inducing (and will leave you craving raspberry gelato) – a gorgeous kids’ novel about 10-year-old Freja Peachtree’s adventures with a madcap writer in Rome. Quirky characters, a unique feel and LOTS of delicious food. 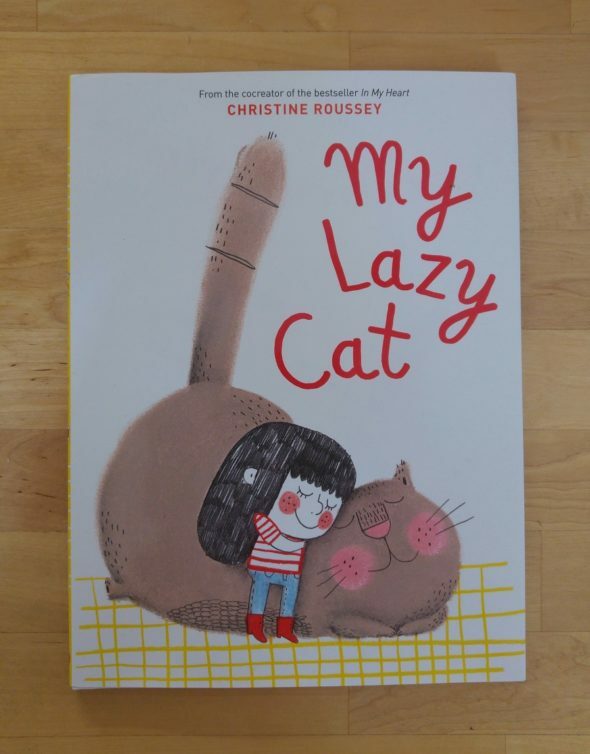 PB // My Lazy Cat by Christine Roussey – Boomer the cat arrives on the narrator’s doorstep one day, and quickly becomes her best friend. But the girl decides Boomer’s quite lazy, unlike her with all her activities, from judo to yoga. When her day doesn’t quite go to plan she follows Boomer outside, and discovers the art of doing ‘nothing at all’. Love this story, and the illustrations are adorable! Shopping: at Miniso – hello, Japanese sheet masks (and other random fun stuff). 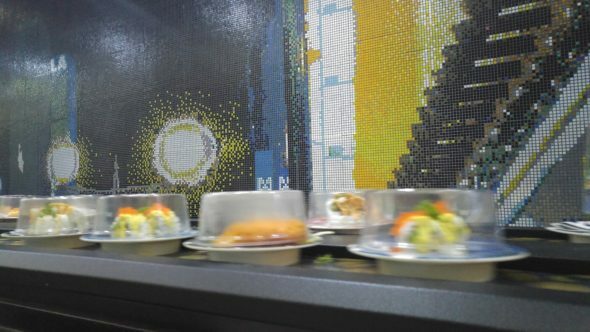 Eating: at Sushi Hotaru – favourite sushi train ever, great for a post-Kinokinuya browse. Watching: I, Tonya – shocking insights into Tonya Harding’s background, phenomenal acting! Listening to: Lots of podcasts, including (surprise) ours! 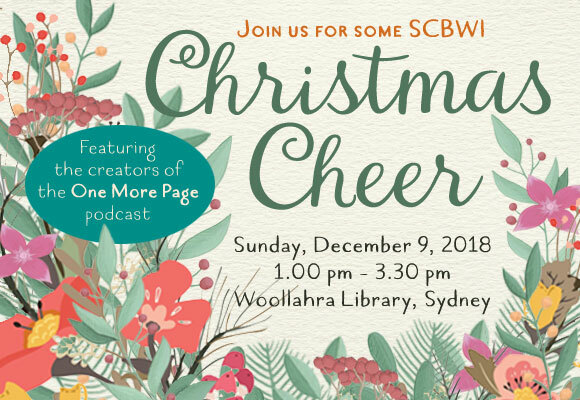 Episode 1 of One More Page debuted last week, and articles have popped up in a few places, like Books + Publishing here and the SCBWI blog here. Exciting times – and it’s almost time for Episode 2 next Wednesday, with our guest interviewee the talented illustrator Nicky Johnston. Other bookish podcasts I’m listening to lately include That YA Podcast, Better Words, and Words and Nerds, plus long-time favourite So You Want to be a Writer. And in non-bookish pods, excited to discover Wowee!, interviewing artists and creatives, like jewellery designer Emily Green. 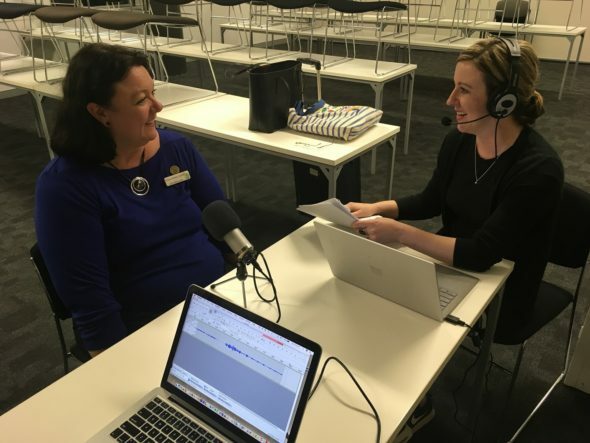 November news: A podcast and a prize! As you can probably tell from our cat/frog/chicken personas, we’re aiming for all-ages appeal. There’ll be interviews with authors and other book industry types, along with chats/games/interviews with kids to discover what they’re reading and recommending. It should be fun. And maybe even a little bit funny. Also, I won a writing competition! 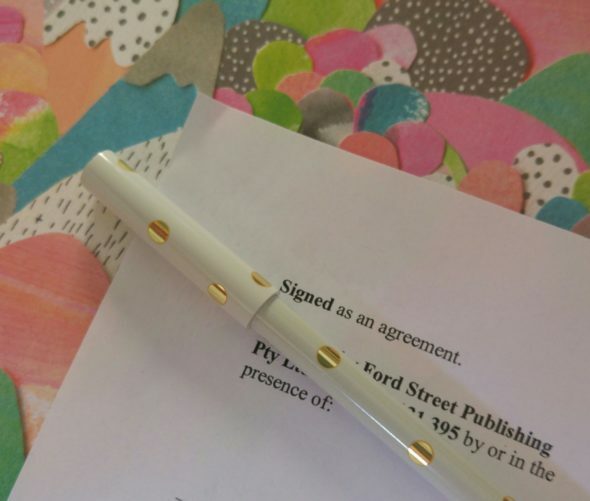 Greenleaf Press, a business supporting writers headed up by kids’ author Aleesah Darlison, held their first picture book manuscript competition recently, and I was beyond excited to discover I’d shortlisted from the hundreds of entries received. Then won! And then I found out another entry of mine was longlisted too, which was a lovely unexpected bonus. The main prize was a detailed manuscript critique from Aleesah, which was very much needed and appreciated. Aside from that, I’m doing NaNoWriMo to work on a new junior fiction book. I have a love/hate relationship with NaNo as I’m sure so many others do. It’s a way to force some words out in a short period of time and get a draft down, which is a good thing as even if it’s terrible, there’s something to work on and improve. But it’s also an annoying burden, inducing feelings of not-doing-Nano guilt every time you dare to turn your attention to something else (*cough* Stranger Things … and Younger). Anyway, I managed to do the 50K once before (in 2013), so perhaps I can do it again? To be honest I’m really aiming for more like 30k with this book, so if I even make that I’ll be happy!